For youth groups or corporate travel groups, Central Coast Outdoors is the answer to getting your group outside and having FUN in the SLO County and Big Sur areas! For group travel tours, don't let your youth, school or business group get stuck in a rut in San Luis Obispo County. The Central Coast has a whole wild and unspoiled natural world to offer beyond the traditional Hearst Castle or winery tour. And we can help connect you with that world. Being in nature doesn't mean you have to rough it, however. From waterproof lap blankets on our kayak tours to gourmet picnic lunches on all types of tours, we will pamper you as well. For youth, school or corporate tours in SLO County, Morro Bay or Big Sur look no farther than an excursion planned by the expert staff at Central Coast Outdoors. Our outdoors tours, especially our Kayaking: Morro Bay Half Day Classic or our Kayaking: Morro Bay Short Paddle, are very popular with youth and school groups. Central Coast Outdoors guides are well versed in providing an educational experience that is also fun! Many scout troops as well as middle school and high school groups have done tours with us. We can usually accommodate up to about 50 people on any of our guided Morro Bay kayak tours. If your group has a special focus, we can also create a custom tour or outing for you. All groups of ten or more qualify for our 20% group discount on any of our kayak tours. All youth/school groups with 10 or more qualify for the group discount rate of $56 per person for our Kayaking: Half Day Classic tour, which is our most popular tour for youth/school groups. Looking to get your office group or business meeting group outside for some fun in the SLO County or Big Sur area? Look no further than Central Coast Outdoors. We can do everything from a 1-2 hour kayak trip or hike to a multi-day multi-sport trip including lodging and food. Your corporate travel group can work with an existing package tour or we can help you create a trip tailored to your group's needs. Our Morro Bay kayak tours also offer opportunities for team building, from having two co-workers in a tandem to more complicated on the water objectives. Have fun and meet your goals at the same time! Vice President and Chief Technology Officer, VitalSource Technologies, Inc.
Our series of Morro Bay kayak tours are our best sellers, for individuals as well as all kinds of groups, from youth groups to corporate travel tours. They are perfect for incentive group travel as well. No kayak experience or special fitness level is necessary to go on any of our Morro Bay kayak tours, making them ideal for large groups of people with mixed abilities. We can put up to about 50 people on the water at a time. Many groups doing a kayak tour with us also enjoy a gourmet picnic lunch or a California beach style grilled dinner on the dunes in conjunction with their tour. Having a meal on the dunes is a truly unique experience! For small group travel or small group adventure travel for biking enthusiasts, our San Luis Obispo Wineries bike tours or our Paso Robles bike tours are sure fire winners for biking and wine tasting. For youth groups our Avila See Canyon bike tour is best as it's our easiest bike tour, includes a bike path, and has a fun walk out to see wildlife on a pier in Avila Beach. A visit to the Central Coast Aquarium can also potentially be arranged for an extra fee for youth groups doing the Avila See Canyon bike tour. 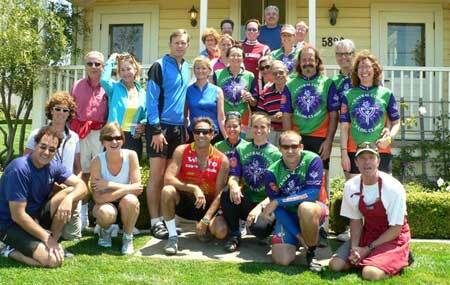 Please contact us for pricing for groups of 10 or more for any group bike tours. The Central Coast of California abounds with hiking opportunities for group adventure travel. The Big Sur coast is truly spectacular and we know the best places to take groups interested in Big Sur hiking. State parks in San Luis Obispo County offer plenty of options as well, espceially for coastal hikes. Please contact us for pricing for groups of 10 or more for any group hikes.